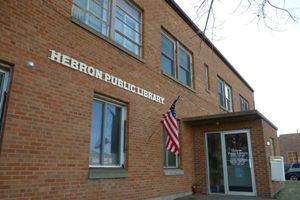 The Hebron Public Library is accepting donations of household items in good working condition for the Old Red Trail Rummage Sale Event that will be on Saturday, June 7. The proceeds will go to the Summer Reading Program: Fizz, Boom, Read, which will be held in July. Please drop off your donations during Library hours. We will have books for sale, household items, baked goods and drinks. Hope to see you there. ‹ Enjoy our new mystery suspense books.